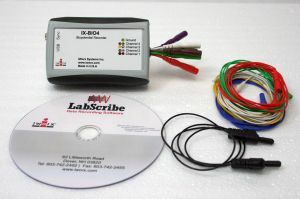 Record multiple parameters such as pressure, volume, flow, temp, etc. Application note on using the IX-BIO4-SA for recording 6 lead Rat ECG. Application note on using the IX-ECG12 for recording 6 lead Rat ECG.